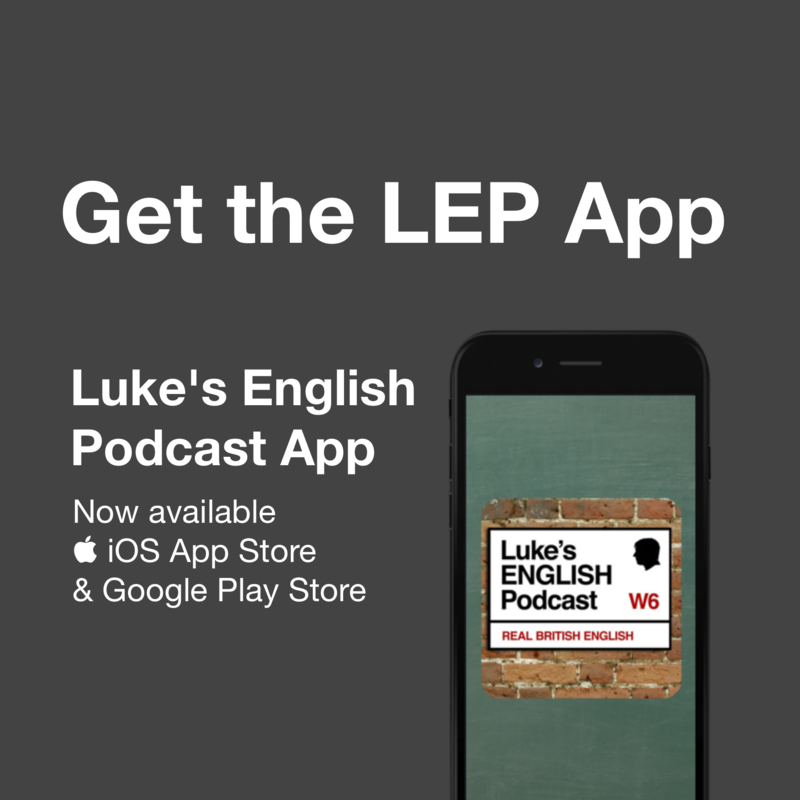 Hello listeners – this episode is all about the Luke’s English Podcast photo competition which I launched in December in episode 313. 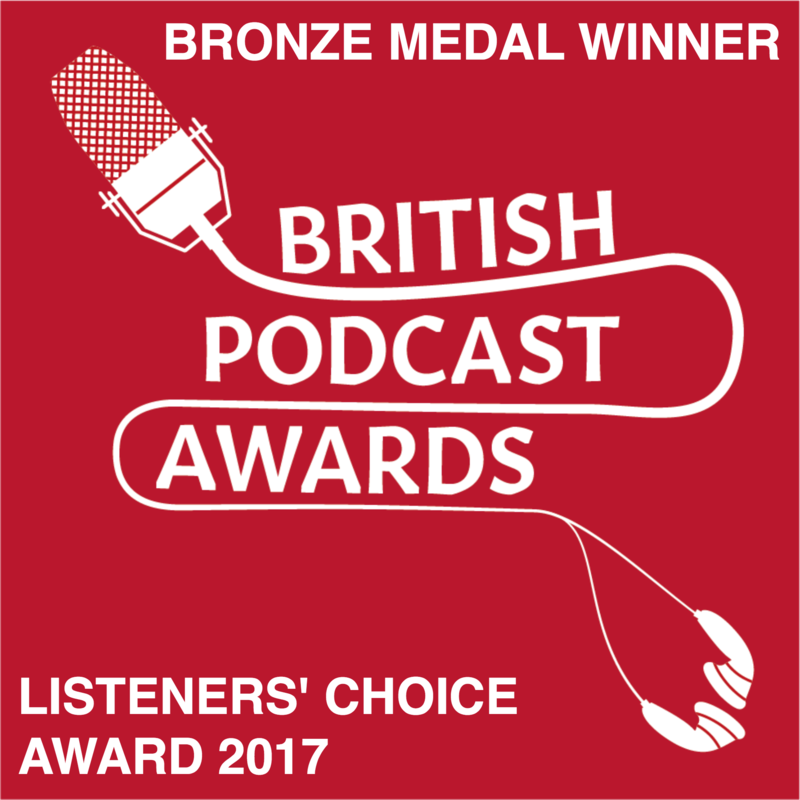 I’ve received loads of photos from listeners and they’re now presented on the page for this episode on my website, and they look fantastic, so please do have a look at them! In this episode I’m going to tell you how you can vote in the competition, and I’m also going to teach you some specific vocabulary and expressions for describing photographs, which is particularly useful if you’re taking a Cambridge exam like FCE or CAE. That’s what’s going to to happen in this episode, so let’s go! Thank you if you’ve made a donation – you’re basically keeping LEP alive, I hope you realise that. 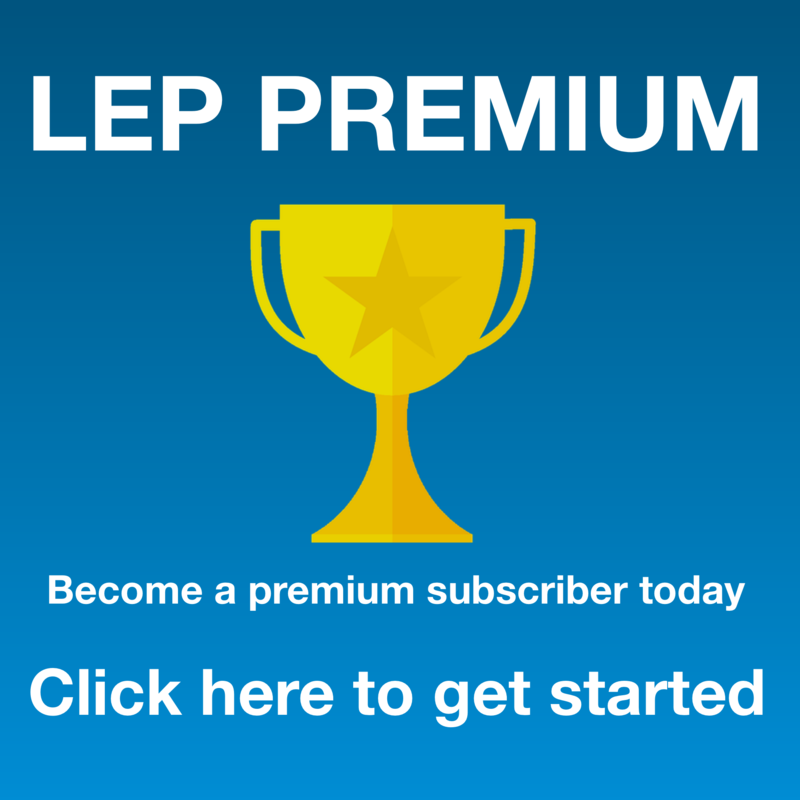 If you want to show your appreciation for LEP you can – just click a donate button on the website and make a contribution (the amount is totally up to you). LEP is also made possible through some sponsorship from Audible.com. Basically, I get a small referral when my listeners sign up to a trial with Audible, which is basically Amazon’s audiobook service. The trial lasts 30 days, and includes a free audiobook download of your choice. Normally they’re 20-30 dollars each, but you can get one free with this offer. You can download any book you like, and if you don’t like the service, just cancel and keep the book, no strings attached. The LEP photo competition entries are here! On the page for this episode [hello you’re reading it right now!] (below) you can see all the photos which were sent to me in the competition, arranged in a randomly generated mosaic. I hope you agree that it looks really cool. I hope I haven’t forgotten anyone’s photos. Remember that the only condition was that you included some evidence that you’re listening (e.g. headphones or an LEP logo or something). The closing date for the competition was the 15th of January, so it’s now way too late to send me your photos. Sorry if you only just found out about it now – you’ll just have to wait for the next competition to come along! 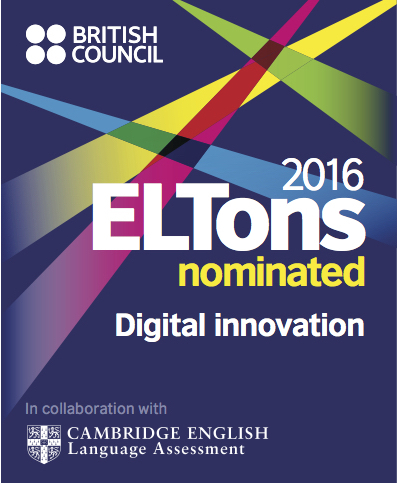 You can now vote on your favourite photo(s). Please see below for the voting rules. It’s absolutely fantastic to get a window into the lives of my listeners, even just a little bit with these snapshots that some of you have sent to me. I know there are many more of you out there – I have a large army of LEP ninjas who like to lurk in the shadows and just listen, only coming out sometimes to leave a comment and then whoosh spring back over the wall and into the night! By the way, I’ve had quite a few first time comments from ninjas and it’s nice to hear from you. Back to the photos – It’s great to see the different environments, landscapes and weather that you are in while listening. Also, it’s really good to see some of the faces of you my listeners around the world. Many of the photos are very charming and also funny. There are some real gems in there! (a gem is a precious stone, but it’s also a word we use to describe something which you think is particularly good – e.g. someone you really like e.g. “She’s a real gem isn’t she?” or “there are some real gems in there” meaning, there are some particularly good photos in there) I’m very proud of my LEP community. Thanks for your photos! Just add a comment under the photo(s) that you want to vote for. You don’t need to give your name, but you can if you like. Make sure you use the word ‘vote’ or ‘choose’ in your comment, so I know it’s a vote. Don’t vote in the comments section under the episode – please vote under individual photos by clicking on them and then clicking on ‘comment’. To leave a comment, just click on the image. Then click in the bottom right hand corner where it says “Comment”. You can vote for as many photos as you like. The winner is the one who has the most votes. There will be two runners up as well. Voting ends on 5 March 2016 – my Dad’s birthday. Feel free to comment on other photos too. That would be cool. To find all the photos just go to teacherluke.co.uk and click the red button on the side which says “LEP PHOTO COMPETITION” – you can see it on the side under the LEP mug pic and under the email subscription button, and above the Audible logo. Click it and you’ll get to the page for this episode. You’ll see all the text that I’m reading and then all the photos are there for your viewing pleasure. It’s useful to know how to talk about photographs, especially if you have to describe them in a Cambridge exam like FCE. Here are some phrases that we typically use while doing it. Listen to the podcast to hear me demonstrate them. in the middle e.g. In the middle of the picture we can see a really cute puppy! at the top e.g. You can see his headphones at the top of the photo. hand – on the right hand side, on the left hand side, in the top righthand corner, in the bottom lefthand corner e.g. In the top left hand corner you can see a turtle in the pond. / On the right hand side you can see his headphones dangling from a tree. in the foreground E.g. It looks like she’s studying maths because you can see what must be her maths book in the foreground. in the background You can see the rest of the orchestra in the background. the picture shows… (someone + -ing) The picture shows the view from his window and a pair of headphones dangling down in the foreground. in the picture we can see… (someone -ing) E.g. In the photo we can see Julien doing some stonemasonry while listening to LEP. there is… there are… There are lots of images of people travelling or in movement. There’s one picture which seems to have been taken on top of a mountain! present continuous tense In this picture we can see that Ewelina is running a marathon while listening to LEP! someone + -ing + while + ing This is a photo of Fernando listening while driving. Present continuous + while + -ing In the photo you can see Gabriella who is doing some ironing while listening to LEP. it looks like (something is -ing) / it looks to me like (something is -ing) E.g. It looks to me like Alexander is doing alright. or It looks like Carlos is reading music and playing the piano while listening to LEP, which must be difficult! It’s a picture of… E.g. This is a picture of Zdenek cycling to work in the snow, which looks pretty slippery! …which… – we use this to just add something to the end of a statement (not just to a noun, but to the whole statement). E.g. Some people have sent photos with babies or members of their family, which is really lovely. Modals of speculation in the present, e.g. “It must be freezing where you are!” or “It looks like the traffic is really busy in Sao Paulo, which must be pretty frustrating – although it might give you more listening time”, “You can see that Mark is wearing his hat right over his eyes, which might make it hard to see where he’s going – but he’s probably a force trained LEP Ninja, so I expect he’s just using the jedi mind trick.” “In this pic we can see that Didar has a pen and paper ready while listening. I guess he might be writing vocabulary notes or making a transcription”. I imagine… I imagine that’s a nice thing to do while listening to LEP. I expect… I expect it took ages to paint that! or I expect she’s on her way to school. I really think you should check out these photos. I think you’ll be pleasantly surprised. Overall it’s just brilliant to see all these images collected together as a whole, and to explore all the photos individually to see the different situations around the world in which you’re listening, and there are some real gems in there (a gem – this means something that’s particularly great – e.g. you’re a real gem! = you’re great, and I like you a lot!). So, there are some real gems in there. I’ll now let you explore the photos for yourselves. A quick re-cap of the rules: Please please please vote for the one(s) that you like by using the word “choose” or “vote” in a comment under the photo(s) you are voting for. Also, please make any other comments that you want to express. I encourage you all to mention things you like about the images. Voting closes on March 5, and then after that I’ll do another episode in which I announce the winner and talk in a bit more detail about the photos. 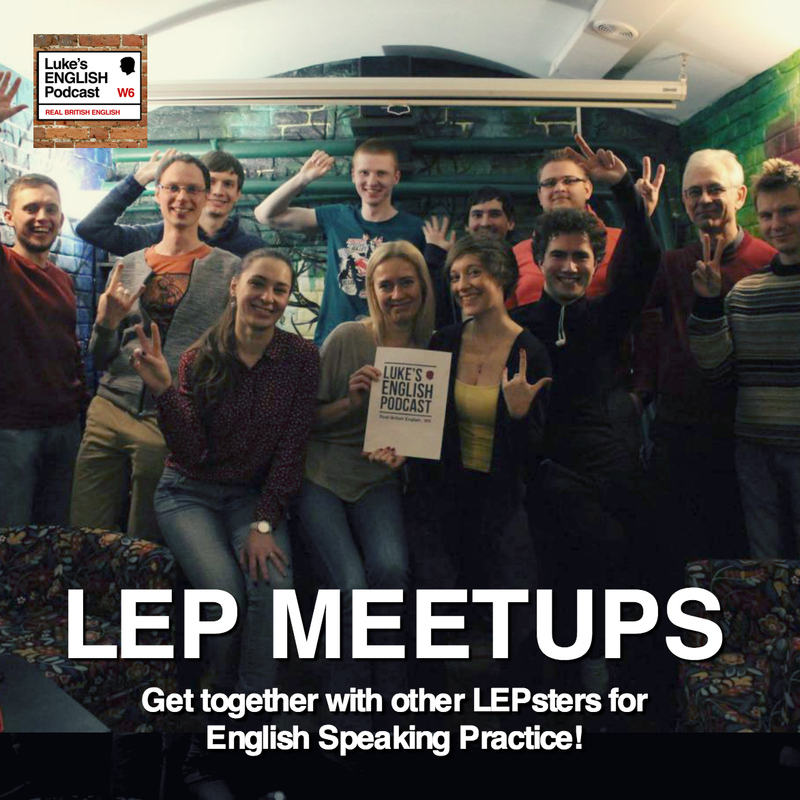 Remember, the winner of the competition gets an LEP mug and a t-shirt or bag, and two runners up get an LEP mug each. Those are the prizes, but for me – it’s not the winning that counts, it’s the taking part. Where can I find all the photos!? You might be asking. You can find them all by going to teacherluke.co.uk clicking on the red button that says LEP Photo Competition. 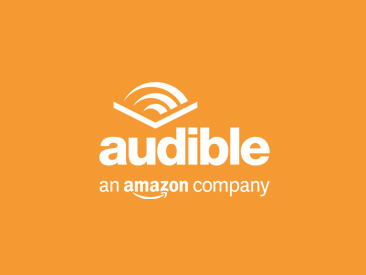 That button will be on the right, just under the email subscription button and above the audible logo. Click that and it’ll take you to the page for this episode where you can see all the photos. Just scroll down past all this text that I’m reading, and bob’s your uncle. A photo from Eri Taguchi (previously lost in my inbox!) who listens with blue headphones when she’s out and about. Here’s a Japanese train platform. Ah, Nihon 懐かしい ! Dima Okun – listening all the time! Irina Lavrova – another frozen Lepster! Valtesse Maria Thompson – hashtags are enough proof! Paulina from Poland – listening in the morning. basma-salman listening in bed I think! Zdenek_Lukas in Czech Republic – always listens while cycling to work even in freezing conditions – don’t slip Zdenek! Joanna from Poland and her comments! 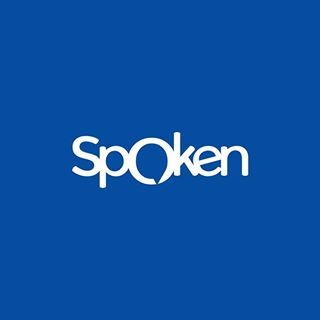 丸山弘 – sorry I don’t know your name in English! This entry was posted in Competition, Messages from Listeners and tagged cambridge, describe, describing, english, fce, language, LEP Photo competition, photographs, photography on January 20, 2016 by Luke Thompson.